Looking for literary agents New York? Enter your information in the form to the right for FREE access to the most comprehensive (and accurate) literary agent directory in the world, with listings for all New York literary agents. There are 727 literary agents in New York. This section is part of our US Literary Agents Directory. As soon as you enter your name and email address to the right, you’ll be able to see complete profiles of literary agents New York and elsewhere (in the United States and abroad). 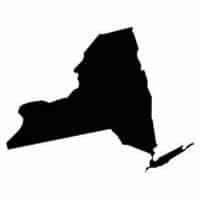 Look at the sample literary agents New York listing below. Most literary agent directories (print and online) are outdated, incomplete, and riddled with mistakes. If you rely on those directories to find literary agents New York, you’re going to hurt your chances of getting a literary agency to represent you. Scroll back up to the top of this webpage now to enter your name and email… for FREE information and listings for literary agents New York. For more information on literary agents New York (and other agent directories), click here to visit the Publishing Agents Directory section of this website.